Can anyone tell me what the spool is like with a Vf43 on a 2.0 with supporting mods? Any more info on this. Im running pretty much the same spec on my sti as shreksta. this is my graph from a looong time ago. This was before the rcm headers were added so I don't know if its running a little bit more but I doubt it. 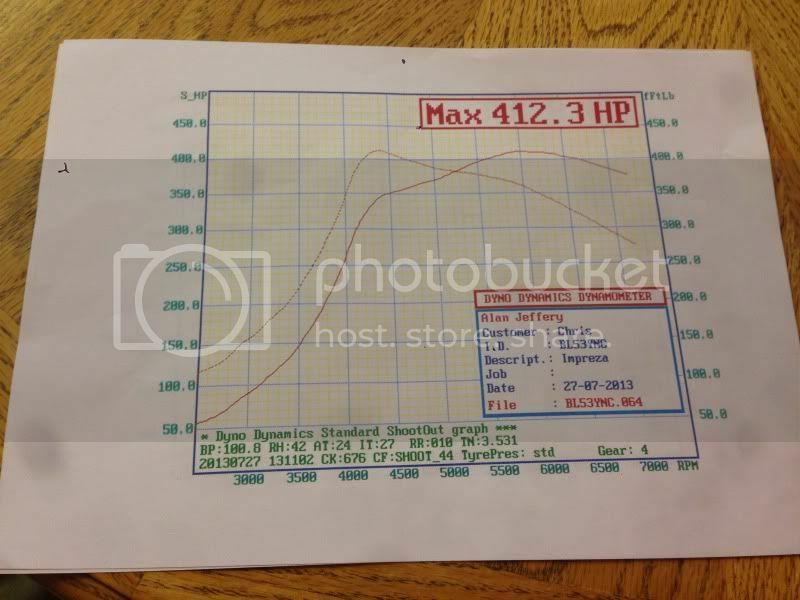 I'm think ing I would like to get my hands on a ported vf43, so im interested in what the spool characteristics would be on a 2.0 . All the supporting mods are In place. 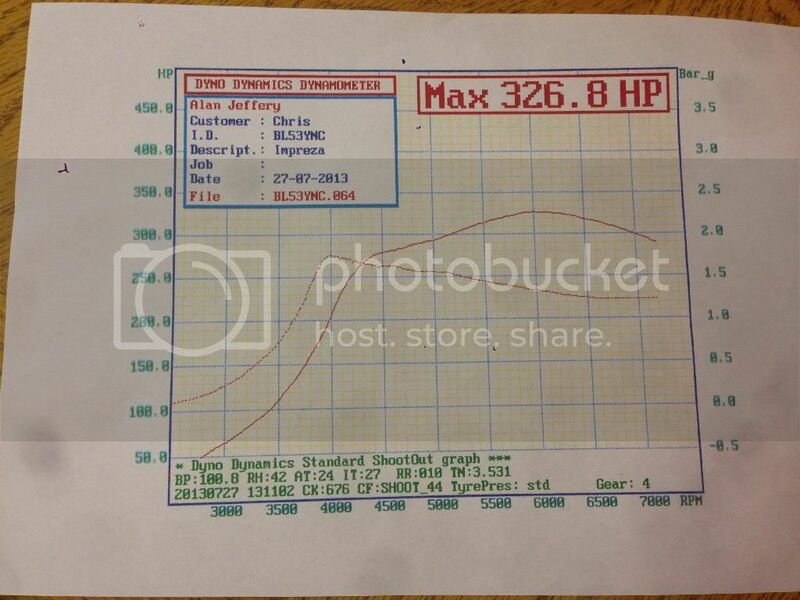 This is the graph from my ported vf43 by the porting wizard BIG D and mapped by Martyn j @ Enginetuner. 3rd graph- meth map boost profile and power @ wheels. is this on a 2.0? whats it feel like on the road compared to the vf35? lag more noticable? 2004 blob Sti. 91k miles standard engine with supporting mods. There is fractional amount more of lag than a 35 but that's if your sat at 2k revs in 4th gear dragging it from the bottom. With my driving style to be fair I'm never there in the rev range, when driven hard the car is always sat pretty much on the red line so gear changes never drop below 5k at the most. I use it for mainly track days and it's always sat in the red for 15/20 mins solid so I could be running a gt35 and lag would never be an issue as the revs are so high. 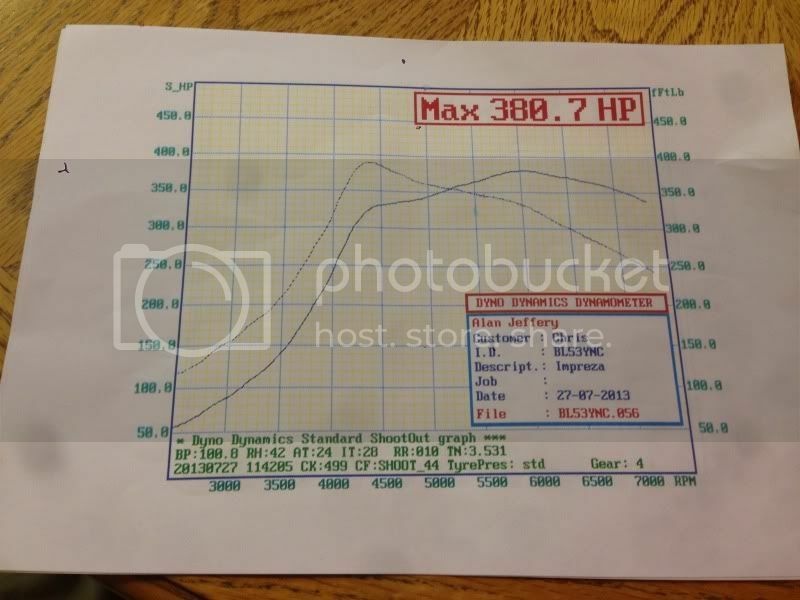 I drove a friends 550hp bug Sti that Enginetuner/Martyn j built and all this talk of lag I was expecting this to be like no boost till 6k them boom 2.1 bar. Th driveabiity is amazing, even when it comes on boost and is building up its prob faster than mine then when full boost comes in, f me it takes off like a rocket! Now that's what I need in my life. Only thing I find is when on track with the 43 and giving it so much stick in the red line, every gear change you go past the point of when peak boost/torque is etc so hence changing to a bigger turbo at some point that will be back with Martyn j for a re map. Iain duncan(big d) his porting work on my old vf35 and current vf43 plus his set up makes for an evil fast road/track car that can scare a lot of big cars with the low down response/driveabilry etc. Martyn's mapping is awesome aswell, last trip to the ring I ran the meth map for 11 laps flat out and the car never missed a beat getting to sub 9 min laps and 11oo miles total journey. sounds a good punchy turbo,my vf35 has just started to smoke a little when pushed hard so looking for a suitable replacement as i will be having a front mount fitted soon so will need a map tweak anyway. How much does it cost to get a vf43 ported dude? Sounds like the kind of setup that I want. Big d is your man peeps, he posted a page back. Hook him up with a message. And knows what there doing, too much out and the wastegate won't seal. Too little out and it will still boost creep like a pig.